Only two years ago the idea of mainstream, gender-neutral clothing ranges for children seemed a long way off. But today gender-neutral is now being billed as the new normal, with ranges available from many leading retailers such as ASOS, River Island and John Lewis. Others such as Abercrombie Kids are unveiling new unisex collections this year.. In the 1980s as people started having fewer children, stronger gender differentiation meant a boost to sales with parents buying clothing separately for boys and girls. It also reaffirmed traditional values following the ‘blip’ of the androgynous 1970s and made sense to focus on fewer children with more, nuanced, merchandise. However, since 2016, the tide of consumer feedback has been magnified by the current political zeitgeist for women’s equality. When a mother in London accused Clarks shoes of everyday sexism in its shoe range for calling a girls’ school shoe “Dolly Babe”, while the boys’ equivalent is called “Leader”, it was not long before the likes of Nicola Sturgeon were tweeting their distaste. Young celebrities such as Jaden Smith have added weight to the movement. He was featured in a womenswear campaign for Louis Vuitton wearing a skirt. The success of gender neutral independent brands and non-gender-specific clothing lines in mainstream retailers has proven the point to the wider industry. Clothes in these ranges tend to be a trade up to better quality and uniqueness, with clothing ranges, such as Mothercare’s My K by Myleene Klass and River Island’s new gender-neutral children’s clothing line, injecting fashion-forward designs into the mix, too. 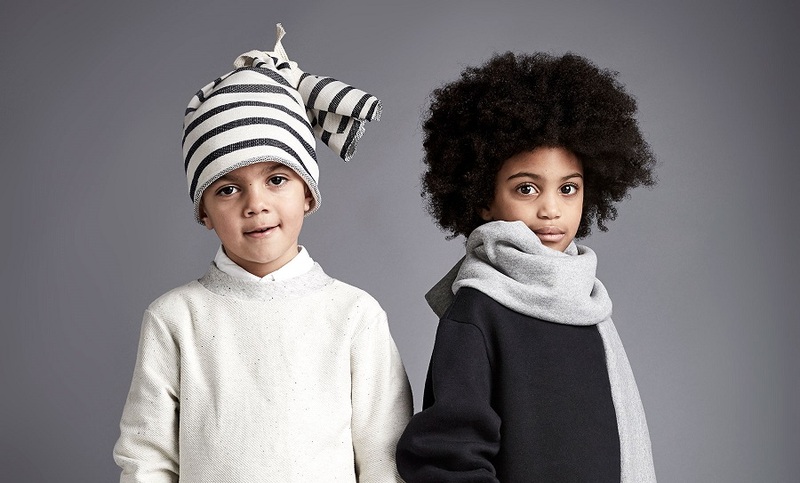 Many new gender-neutral brands are using fabrics that are kind to young skin, such as Tobias & The Bear, with its printed leggings; Turtledove London, a unisex organic cotton brand. The future of gender neutrality in the children’s market is about a switch in thinking, selling to children and their parents based on what they want to wear not what they should wear. This can be achieved by changes in merchandising or planning, such as John Lewis dropping its labelling system of ‘boys’ and ‘girls’, or it can be by specifically designing products suited to both genders. Either way, it is a ‘back to basic’ principle of understanding the customer and selling to their true demand.